The recent easing of the public sector pay cap suggests that the government is beginning to respond to widespread concerns about the social and economic costs of austerity. Yet despite this turn, the proposed rises remain below real-terms inflation. Plus, the need for continued austerity is justified in terms of being “fair” to those who must pay for wage increases as well to as those who will receive them. Despite increasing opposition, austerity remains a potent force in politics today. This should not surprise us. The modern narrative of austerity has a long cultural history, which we can trace from medieval religious writers to 20th century philosophers. Part of austerity’s appeal is that it justifies present suffering through the promise of future prosperity. No matter what the arguments against austerity, from past and present economists, the huge cost for public services is somehow seen as a price worth paying. Philip Hammond, chancellor of the exchequer, insists that “we must hold our nerve … and maintain our focus resolutely on the prizes that are so nearly within reach”. This language is telling. It is part of an ongoing narrative about how restraint and self-denial are good for you. This perceived moral value is not without precedent. Historically, there have been numerous cultural manifestations of austerity that shed light on its enduring appeal and the rhetoric associated with it. Austerity is closely related to the ancient concept of asceticism, the art of abstinence practiced by Greek and Roman philosophers, continued by medieval religious writers, and made famous by the theorist Max Weber in his 1922 book Economy and Society. Asceticism has many definitions, usually equating a simple life to a moral one. It is often seen as religious, an ideology based on the fact that present self-denial will enable future liberation from want. Biblical scholar Richard Valantasis puts this in very positive terms, calling asceticism the “dream of being a better person” in his book on the subject, The Making of the Self. But Weber extends the religious and philosophical dimensions of asceticism to economics when he argues that capitalism is inherently ascetic, suggesting that it thrives through self-restraint and hard work. Weber equates asceticism and rationality; austerity, he says, is both sensible and logical, and it provides the individual with inward fulfilment. Thus, when governments pursue austerity policies and accuse their opponents of being selfish and wasteful, they draw on a cultural narrative that views self-denial as ethically, morally, and even spiritually, correct. It pays for the past. And it plans for the future. It supports a strong enterprise-led recovery. It rewards work … Yes, it is tough; but it is also fair. The idea that austerity is “tough” but good for you echoes ascetic ideals clearly. Asceticism is a formative process as it shapes an individual through hard work (in Weber’s view) and gruelling self-denial (in the view of medieval writers). 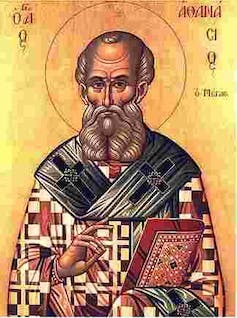 The fourth-century bishop Athanasius of Alexandria – a father of the Christian church – characterised the moral life as one of renunciation and suffering. He also praised discipline and labour as virtues that will lead to pleasing God, and ultimately to the rewards of heaven. The story of present suffering leading to future prosperity therefore weaves concerns about one’s current struggles into a grander narrative of purpose. It gives an unstable life meaning through discipline, and according to the cultural critic Geoffrey Galt Harpham, leads to understanding of oneself, one’s community, and one’s place in the world. After seven long and tough years, the high-wage, high-growth economy for which we strive is tantalisingly close to being within our grasp. It would be easy to take our foot off the pedal. But instead we must hold our nerve. By using the language of shared experience, shared struggle, and shared results, austerians attempt to construct a collective identity that unites people in their vision. The fact that austerity affects people in drastically different ways is secondary to creating the sense that we are striving for a common good. In the Middle Ages it was promoted to give spiritual meaning to physical deprivation. Today it does the same for economic hardship. There is nothing wrong with the ideals of asceticism per se. Self-control and self-restraint are admirable qualities and have been praised throughout history. The problem is when these qualities are evoked on a national scale to justify economic self-harm. The Conservatives’ loss of their majority in the most recent election suggests that those experiencing austerity might be beginning to turn against it. But those for whom austerity provides a powerful sense of rational order, a coherent narrative that makes constancy out of instability, and an economic purpose with the allure of morality, are unwilling to abandon it. The narrative of austerity resonates strongly because of its history. We now require a powerful counter-narrative to promote the positive benefits of investing in public services and communities. To follow Facts & Arts' Editor, Olli Raade, on Twitter, please click here﻿.